4156500 FB05-2 KOMATSU FB05-2 Electric forklift. Spare parts catalog. Service Manual. 4156501 FB05-3 KOMATSU FB05-3 Electric forklift. Spare parts catalog. Service Manual. 4156502 FB07-3 KOMATSU FB07-3 Electric forklift. Spare parts catalog. Service Manual. 4156503 FB09-3 KOMATSU FB09-3 Electric forklift. Spare parts catalog. Service Manual. 4156504 FB09EX-11 KOMATSU FB09EX-11 Electric forklift. Spare parts catalog. Service Manual. 4156505 FB09EXL-11 KOMATSU FB09EXL-11 Electric forklift. Spare parts catalog. Service Manual. 4156506 FB09H-12 KOMATSU FB09H-12 Electric forklift. Spare parts catalog. Service Manual. 4156507 FB09HF-12 KOMATSU FB09HF-12 Electric forklift. Spare parts catalog. Service Manual. 4156508 FB09M-12 KOMATSU FB09M-12 Electric forklift. Spare parts catalog. Service Manual. 4156509 FB09MF-12 KOMATSU FB09MF-12 Electric forklift. Spare parts catalog. Service Manual. 4156510 FB09ML-12 KOMATSU FB09ML-12 Electric forklift. Spare parts catalog. Service Manual. 4156511 FB10M-1 KOMATSU FB10M-1 Electric forklift. Spare parts catalog. Service Manual. 4156512 FB10M-2 KOMATSU FB10M-2 Electric forklift. Spare parts catalog. Service Manual. 4156513 FB10M-3 KOMATSU FB10M-3 Electric forklift. Spare parts catalog. Service Manual. 4156514 FB10-4 KOMATSU FB10-4 Electric forklift. Spare parts catalog. Service Manual. 4156515 FB10L-4 KOMATSU FB10L-4 Electric forklift. Spare parts catalog. Service Manual. 4156516 FB10-5 KOMATSU FB10-5 Electric forklift. Spare parts catalog. Service Manual. 4156517 FB10EX-7 KOMATSU FB10EX-7 Electric forklift. Spare parts catalog. Service Manual. 4156518 FB10EX-8 KOMATSU FB10EX-8 Electric forklift. Spare parts catalog. Service Manual. 4156519 FB10EXF-8 KOMATSU FB10EXF-8 Electric forklift. Spare parts catalog. Service Manual. 4156520 FB10EXL-8 KOMATSU FB10EXL-8 Electric forklift. Spare parts catalog. Service Manual. 4156521 FB10EX-10 KOMATSU FB10EX-10 Electric forklift. Spare parts catalog. Service Manual. 4156522 FB10EXF-10 KOMATSU FB10EXF-10 Electric forklift. Spare parts catalog. Service Manual. 4156523 FB10EXL-10 KOMATSU FB10EXL-10 Electric forklift. Spare parts catalog. Service Manual. 4156524 FB10SFY-10 KOMATSU FB10SFY-10 Electric forklift. Spare parts catalog. Service Manual. 4156525 FB10EX-11 KOMATSU FB10EX-11 Electric forklift. Spare parts catalog. Service Manual. 4156526 FB10EXF-11 KOMATSU FB10EXF-11 Electric forklift. Spare parts catalog. Service Manual. 4156527 FB10-12 KOMATSU FB10-12 Electric forklift. Spare parts catalog. Service Manual. 4156529 FB10F-12 KOMATSU FB10F-12 Electric forklift. Spare parts catalog. Service Manual. 4156530 FB10M-12 KOMATSU FB10M-12 Electric forklift. Spare parts catalog. Service Manual. 4156531 FB10MF-12 KOMATSU FB10MF-12 Electric forklift. Spare parts catalog. Service Manual. 4156532 FB10ML-12 KOMATSU FB10ML-12 Electric forklift. Spare parts catalog. Service Manual. 4156533 FB12M-1R KOMATSU FB12M-1R Electric forklift. Spare parts catalog. Service Manual. 4156534 FB12M-2R KOMATSU FB12M-2R Electric forklift. Spare parts catalog. Service Manual. 4156535 FB13M-1 KOMATSU FB13M-1 Electric forklift. Spare parts catalog. Service Manual. 4156536 FB13MV-1E KOMATSU FB13MV-1E Electric forklift. Spare parts catalog. Service Manual. 4156537 FB13M-2 KOMATSU FB13M-2 Electric forklift. Spare parts catalog. Service Manual. 4156538 FB13MJ-2E KOMATSU FB13MJ-2E Electric forklift. Spare parts catalog. Service Manual. 4156539 FB13M-2R KOMATSU FB13M-2R Electric forklift. Spare parts catalog. Service Manual. 4156540 FB13M-3 KOMATSU FB13M-3 Electric forklift. Spare parts catalog. Service Manual. 4156541 FB13M-3E KOMATSU FB13M-3E Electric forklift. Spare parts catalog. Service Manual. 4156542 FB13M-3-EC KOMATSU FB13M-3-EC Electric forklift. Spare parts catalog. Service Manual. 4156543 FB13M-12 KOMATSU FB13M-12 Electric forklift. Spare parts catalog. Service Manual. 4156544 FB13MF-12 KOMATSU FB13MF-12 Electric forklift. Spare parts catalog. Service Manual. 4156545 FB13ML-12 KOMATSU FB13ML-12 Electric forklift. Spare parts catalog. Service Manual. 4156546 FB14-4 KOMATSU FB14-4 Electric forklift. Spare parts catalog. Service Manual. 4156547 FB14L-4 KOMATSU FB14L-4 Electric forklift. Spare parts catalog. Service Manual. 4156548 FB14-5 KOMATSU FB14-5 Electric forklift. Spare parts catalog. Service Manual. 4156549 FB14EX-7 KOMATSU FB14EX-7 Electric forklift. Spare parts catalog. Service Manual. 4156550 FB14EX-8 KOMATSU FB14EX-8 Electric forklift. Spare parts catalog. Service Manual. 4156551 FB14EXF-8 KOMATSU FB14EXF-8 Electric forklift. Spare parts catalog. Service Manual. 4156552 FB14EXL-8 KOMATSU FB14EXL-8 Electric forklift. Spare parts catalog. Service Manual. 4156553 FB14EX-10 KOMATSU FB14EX-10 Electric forklift. Spare parts catalog. Service Manual. 4156554 FB14EXF-10 KOMATSU FB14EXF-10 Electric forklift. Spare parts catalog. Service Manual. 4156555 FB14EXL-10 KOMATSU FB14EXL-10 Electric forklift. Spare parts catalog. Service Manual. 4156556 FB14EX-11 KOMATSU FB14EX-11 Electric forklift. Spare parts catalog. Service Manual. 4156557 FB14EXF-11 KOMATSU FB14EXF-11 Electric forklift. Spare parts catalog. Service Manual. 4156558 FB14EXL-11 KOMATSU FB14EXL-11 Electric forklift. Spare parts catalog. Service Manual. 4156559 FB14-12 KOMATSU FB14-12 Electric forklift. Spare parts catalog. Service Manual. 4156560 FB14F-12 KOMATSU FB14F-12 Electric forklift. Spare parts catalog. Service Manual. 4156561 FB15M-1 KOMATSU FB15M-1 Electric forklift. Spare parts catalog. Service Manual. 4156562 FB15-1R KOMATSU FB15-1R Electric forklift. Spare parts catalog. Service Manual. 4156563 FB15M-1R KOMATSU FB15M-1R Electric forklift. Spare parts catalog. Service Manual. 4156564 FB15M-2 KOMATSU FB15M-2 Electric forklift. Spare parts catalog. Service Manual. 4156565 FB15MJ-2E KOMATSU FB15MJ-2E Electric forklift. Spare parts catalog. Service Manual. 4156566 FB15MK-2 KOMATSU FB15MK-2 Electric forklift. Spare parts catalog. Service Manual. 4156567 FB15-2R KOMATSU FB15-2R Electric forklift. Spare parts catalog. Service Manual. 4156568 FB15G-2R KOMATSU FB15G-2R Electric forklift. Spare parts catalog. Service Manual. 4156569 FB15M-2R KOMATSU FB15M-2R Electric forklift. Spare parts catalog. Service Manual. 4156570 FB15MG-2R KOMATSU FB15MG-2R Electric forklift. Spare parts catalog. Service Manual. 4156571 FB15M-3 KOMATSU FB15M-3 Electric forklift. Spare parts catalog. Service Manual. 4156572 FB15-4 KOMATSU FB15-4 Electric forklift. Spare parts catalog. Service Manual. 4156573 FB15L-4 KOMATSU FB15L-4 Electric forklift. Spare parts catalog. Service Manual. 4156574 FB15-5 KOMATSU FB15-5 Electric forklift. Spare parts catalog. Service Manual. 4156575 FB15H-5 KOMATSU FB15H-5 Electric forklift. Spare parts catalog. Service Manual. 4156576 FB15SH-5 KOMATSU FB15SH-5 Electric forklift. Spare parts catalog. Service Manual. 4156577 FB15SH-6 KOMATSU FB15SH-6 Electric forklift. Spare parts catalog. Service Manual. 4156578 FB15EX-7 KOMATSU FB15EX-7 Electric forklift. Spare parts catalog. Service Manual. 4156579 FB15GT-7 KOMATSU FB15GT-7 Electric forklift. Spare parts catalog. Service Manual. 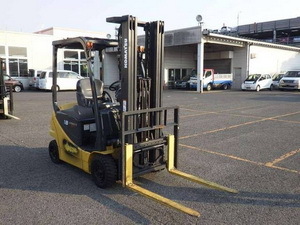 4156580 FB15SH-7 KOMATSU FB15SH-7 Electric forklift. Spare parts catalog. Service Manual. 4156581 FB15SHE-7 KOMATSU FB15SHE-7 Electric forklift. Spare parts catalog. Service Manual. 4156582 FB15EX-8 KOMATSU FB15EX-8 Electric forklift. Spare parts catalog. Service Manual. 4156583 FB15EXF-8 KOMATSU FB15EXF-8 Electric forklift. Spare parts catalog. Service Manual. 4156584 FB15EXG-8 KOMATSU FB15EXG-8 Electric forklift. Spare parts catalog. Service Manual. 4156585 FB15EXGF-8 KOMATSU FB15EXGF-8 Electric forklift. Spare parts catalog. Service Manual. 4156586 FB15EXL-8 KOMATSU FB15EXL-8 Electric forklift. Spare parts catalog. Service Manual. 4156587 FB15EX-10 KOMATSU FB15EX-10 Electric forklift. Spare parts catalog. Service Manual. 4156588 FB15EXF-10 KOMATSU FB15EXF-10 Electric forklift. Spare parts catalog. Service Manual. 4156589 FB15EXG-10 KOMATSU FB15EXG-10 Electric forklift. Spare parts catalog. Service Manual. 4156590 FB15EXGF-10 KOMATSU FB15EXGF-10 Electric forklift. Spare parts catalog. Service Manual. 4156591 FB15EXL-10 KOMATSU FB15EXL-10 Electric forklift. Spare parts catalog. Service Manual. 4156592 FB15SFY-10 KOMATSU FB15SFY-10 Electric forklift. Spare parts catalog. Service Manual. 4156593 FB15EX-11 KOMATSU FB15EX-11 Electric forklift. Spare parts catalog. Service Manual. 4156594 FB15EXF-11 KOMATSU FB15EXF-11 Electric forklift. Spare parts catalog. Service Manual. 4156595 FB15EXG-11 KOMATSU FB15EXG-11 Electric forklift. Spare parts catalog. Service Manual. 4156596 FB15EXGF-11 KOMATSU FB15EXGF-11 Electric forklift. Spare parts catalog. Service Manual. 4156597 FB15EXL-11 KOMATSU FB15EXL-11 Electric forklift. Spare parts catalog. Service Manual. 4156598 FB15-12 KOMATSU FB15-12 Electric forklift. Spare parts catalog. Service Manual. 4156599 FB15AY-12 KOMATSU FB15AY-12 Electric forklift. Spare parts catalog. Service Manual. 4156600 FB15F-12 KOMATSU FB15F-12 Electric forklift. Spare parts catalog. Service Manual. 4156601 FB15FU-12 KOMATSU FB15FU-12 Electric forklift. Spare parts catalog. Service Manual. 4156602 FB15G-12 KOMATSU FB15G-12 Electric forklift. Spare parts catalog. Service Manual. 4156603 FB15GF-12 KOMATSU FB15GF-12 Electric forklift. Spare parts catalog. Service Manual. 4156604 FB15HB-12 KOMATSU FB15HB-12 Electric forklift. Spare parts catalog. Service Manual. 4156605 FB15M-12 KOMATSU FB15M-12 Electric forklift. Spare parts catalog. Service Manual. 4156606 FB15MF-12 KOMATSU FB15MF-12 Electric forklift. Spare parts catalog. Service Manual. 4156607 FB15MFU-12 KOMATSU FB15MFU-12 Electric forklift. Spare parts catalog. Service Manual. 4156608 FB15ML-12 KOMATSU FB15ML-12 Electric forklift. Spare parts catalog. Service Manual. 4156609 FB15MU-12 KOMATSU FB15MU-12 Electric forklift. Spare parts catalog. Service Manual. 4156610 FB15U-12 KOMATSU FB15U-12 Electric forklift. Spare parts catalog. Service Manual.